Botanists identify trees by looking at the traits of their leaves. Because there are so many types of trees, this can be a lengthy process requiring the help of a leaf key or field guide. Start by making a few simple observations. Does the tree have leaves or needles? How are they shaped? Are they attached in an alternating or opposite pattern? Narrow the possibilities until you have an identification. Traits of leaves identify the tree. Trees, large woody perennials with a single erect trunk and well-defined crown, can be either deciduous or coniferous. If the tree has broad, flat leaves that fall off every autumn, it is deciduous. If it has evergreen needles on its branches all year, it is coniferous. This is the starting point for all leaf identification. If the tree is coniferous, it has needles that are either single, clustered or scaly. Single needles emerge from one point, such as the needles of a Colorado spruce. If there are two or more needles arising from a single point, then the needle is clustered. Scotch pine is an example of a conifer with clustered needles. If the needles have a scale-like appearance that overlap each other, they are scaly needles. An example is the eastern red cedar. There are many types of deciduous leaves. They can be simple (a basic oval, circle or triangle), lobed (noticeable indentations on the edges), compound (composed of smaller leaflets growing along a single stalk), twice compound (small leaflets growing along the edge of a thinner, secondary stalk attached to the main stalk), or palmate compound (leaflets emerging from a common central point at the end of a leafstalk). Identifying these characteristics will further narrow the identification. Deciduous leaves also are classified by the way they are attached to a twig. Are the leaves opposite one another, or do they alternate along the stalk? Leaves can be simple opposite (single simple leaves attached directly opposite each other on the twig), lobed opposite (single lobed leaves attached directly opposite one another), compound opposite (groups of leaflets opposite each other) or palmate compound opposite (palmate leaves opposite each other). Alternate leaves can be simple alternate, lobed alternate, compound alternate or twice compound alternate. Familiarize yourself with leaf terms when identifying trees. The sinus is the indentation of the edge of a leaf. The midrib is the central vein, which has smaller veins branching from it. Bristle-tipped leaves have a pointy edge. A lobe is a section of a leaf. 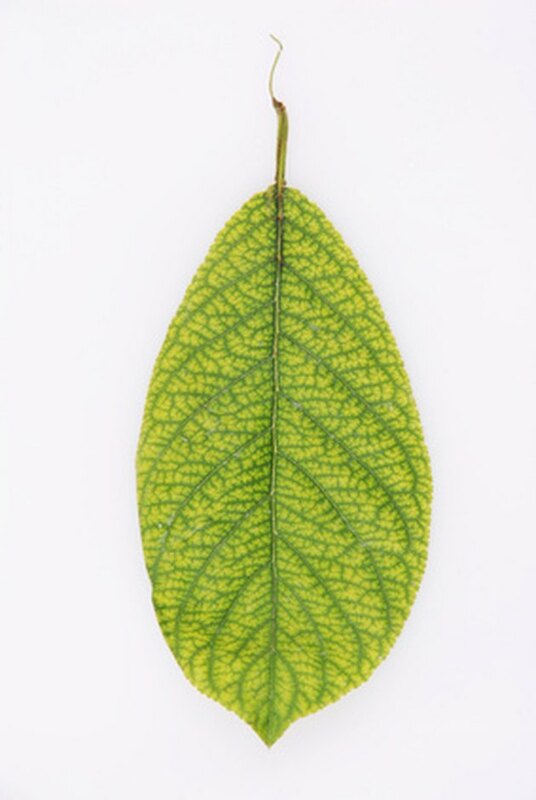 A margin is the outline, and the leaf base is where it attaches to the leafstalk, or petiole. Teeth are bumps along the outer edge, and double-toothed leaves have bumps on each tooth. These are all characteristics to consider when making an identification. To identify a tree by its leaves, start by asking questions. Is it a coniferous (needles) or deciduous (broad and flat) leaf? Continue the identification process by looking at the shape of the leaf and its attachment to the stalk. For example, if the tree is deciduous, with simple opposite leaf attachment, an oval shape, a toothless margin, and the tree bears flowers and red berries, it can be identified as an eastern flowering dogwood, or Cornus florida.